Recently I’ve been receiving more attention for my work with The Human, Earth Project. It was thrilling to see last night’s premiere of the documentary Bargain Brides, on Vietnamese women being sold as brides in China. A large portion of the documentary focuses on P’s story and some of my own work with her here in Asia. 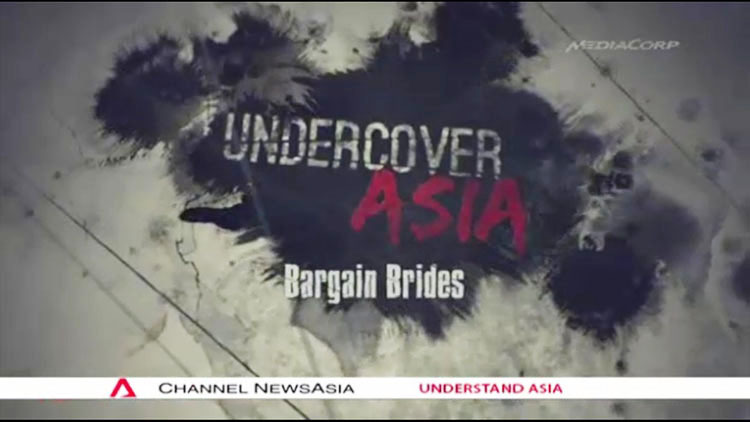 For those of you who missed it, the full documentary can now be viewed here on the Channel NewsAsia website (although it may not be accessible in all locations). I’ve also received quite a lot of attention lately from the American Hmong communities. For the most part, this attention has been overwhelmingly positive and supportive, and it’s been wonderful to make new connections within these communities. Some of this attention has been less enthusiastic, however. Over the past 24 hours I’ve been engaged in a passionate discussion with several members of these communities, who have been highly critical of myself and my work with The Human, Earth Project. I believe in the value of constructive criticism and, to a certain extent, I’ve encouraged this discussion. Some of the accusations made against me have been ignorant, racist and offensive, and do not merit a response. Others have been downright absurd, such as the (blatantly racist) claim that only white people have the capacity for racism. I’ve been accused of tooting my own horn, which is true. I’ve also been accused of exploiting the girls with whom I’ve been working, which is not. Some of the claims made against me were reasonable, and deserve a fuller response. One of the first things you’re likely to see when visiting The Human, Earth Project website is a 4-minute video. The video begins with 15 seconds of positive messages from supporters around the world. 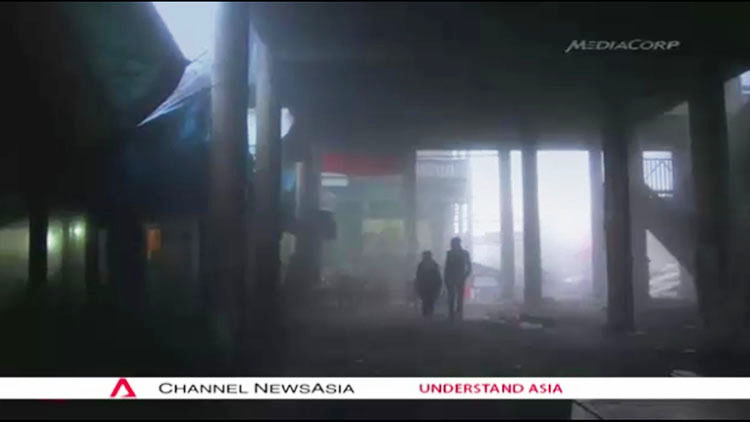 It then continues through a two-minute montage of media exposure the Project has received: Australian radio, Canadian and Indonesian television, a TEDx speech in the United States. There’s a 30-second animation, and for the remainder of the video I speak about The Human, Earth Project and human trafficking – because that’s what the website is about. Am I tooting my own horn? Absolutely. I jammed as much tooting into those four minutes as I possibly could. I have no PR people working with me on The Human, Earth Project. In the beginning, I was simply muddling through on the assumption that if I was doing unusual and remarkable things, sooner or later, people would recognise that fact and take notice. Unfortunately, I was wrong. We live in a world where everyone’s competing for everyone else’s attention, all the time. Most of the messages we receive each day are driven by corporate interest and are essentially the same: Buy this! Buy that! My message was somewhat unusual – which turned out not to be a positive thing at all. Hundreds and thousands of new arrivals on my website were drifting straight through without stopping. They disappeared, never to be seen again. How was I to hold their interest? Last October, I did a little research, and stumbled across the concept of “social proof”. In a nutshell: People are interested in what other people are interested in. It’s like a guy who stops and points at something across the street. Others will stop and point, too, whether there’s something there worth pointing at or not. Fortunately, I had something I felt was worth pointing to, and I had video footage of respectable organisations pointing to it. I put all of that social proof together and put it on the site, and make no apology for doing so. And you know what? It has worked. So if you hate my work and don’t want to hear about it, please don’t visit my website, because I’ll be tooting merrily. But all those quotes and all of that media exposure aren’t about The Human, Earth Project at all, I’ve been told. It’s all about me, personally. That’s true: much of it is. Not that it’s so easy to draw a line between myself and the Project, when the Project has consumed my life for the past 18 months or more. Not that I have much say in how the media chooses to portray my work. …But do you know something? Even if those decisions were mine, I’d do things in much the same way. My role within The Human, Earth Project has been interpreted and criticised as that of the “white saviour”. You all know the white saviour: he’s a Hollywood favourite. You’ve seen him in such films as Avatar, The Matrix, Indiana Jones & The Temple Of Doom, Django Unchained and 12 Years A Slave. He’s that enlightened white guy who comes swooping in to save people of other races from their problems. The white saviour narrative is generally interpreted as a story of racial superiority – and yet once you start looking for him, you’ll find he pops up everywhere. We have a culture of telling ourselves racist stories. The real story of The Human, Earth Project is not about me. It’s about some Hmong friends who were abducted. It’s a Hmong affair, I’m told, and my whiteness has no place in it. My true duty, it seems, is to take responsibility for centuries of white colonialism and oppression, and to leave the Hmong communities alone while they themselves resolve the myriad problems with which the white man has burdened them. A harsh criticism – yet not entirely unfair. This white boy has a confession to make. Some of you may be familiar with the work of Nicholas Kristof, a dual-Pulitzer-prize-winning journalist for the New York Times, and co-author of the Half The Sky book that sparked the eponymous women’s rights movement. The International Center For Journalists has described Kristof as “the conscience of international journalism”. Over the course of his career, Kristof has discovered some fascinating answers to that question. Kristof came to realise that people genuinely care less about a million people than they do about one. When he writes stories, Kristof focuses on a single individual. Just one – even two is too many. Preferably young, female, and full of spirit, because that’s what people respond to. Yes, it was a coincidence that my abducted friend M happened to be an ideal subject for a Kristof-style story. I’ll tell you something that wasn’t a coincidence, though. Did anyone ever wonder why I put zero emphasis on P’s story and situation, although they were just as terrible as M’s, and P had also been a friend of mine prior to her abduction? Why I never spoke of the search for P, although it also took an enormous investment of time and energy? Why I made very little fuss about finding and meeting with P, though it was in fact a huge personal accomplishment? Because, according to Kristof, most people simply stop caring when such a story focuses on more than one individual, and I wasn’t willing to risk my audience to test his theory. Here’s a fun fact: in a total of 74 blog posts leading up to the success of my search for P in China, I mentioned her only once. Once – compared to countless occasions on which M was mentioned. Did I care any less about P? No – but I wanted you to care more about the cause. I know there was some confusion last October when a girl who had barely even been mentioned in the story suddenly became its greatest success. If that word can be used in a positive context, then yes. If Kristof’s experience holds true, then (counter-intuitively) giving P equal emphasis in the stories of The Human, Earth Project would have made them less interesting for you – and thus would have made it more difficult for me to raise awareness of human trafficking. And believe me, it’s been difficult enough already. Here’s another of Kristof’s discoveries: an audience will quickly lose interest in a story unless there’s a character they can readily relate to. He calls this character the “bridge character”. When writing for a Western audience, this character tends to be white. Kristof freely admits that he will pass up a figure more worthy of attention for one who is more readily identifiable. When no such figure exists, Kristof will insert himself into the story, and finds that the additional attention he earns for the cause is worth enduring the personal criticism he receives. But who is this bridge character, and what makes him so identifiable? In some respects, the bridge character is little more than a modified and relabelled white saviour figure. He may be so readily identifiable because we see the white saviour character so often in films and on television. Kristof has received his share of criticism, and he hasn’t always got it right – but he’s trying, and so am I. While the bridge character doesn’t seem to have caused Kristof any great moral dilemmas, I certainly had no initial intentions of being one. I did learn, however, that it was difficult to tell the story of The Human, Earth Project properly without including my own experiences as part of that story. Last January, in the preparations leading up to our second crowdfunding campaign, a team of us asked the question: What will make people care about this? Even without Kristof’s ideas and terminology, it became clear that The Human, Earth Project would be much more accessible to a Western audience – and therefore more likely to succeed in raising awareness of human trafficking – if I personally played a more visible role in the story. I freely admit that, since that time, I have played the conscious role of a bridge character in M’s story. A bridge character, yes; a white saviour, no. While there are similarities between the two, they are certainly not the same. There are several reasons why I don’t conform to the white saviour stereotype, but one should be enough: I’ve never saved anyone. P escaped her Chinese “husband” and returned across more than 1,500 kilometres (almost a thousand miles) of China alone and unassisted. It was an act that took incredible courage, and for which I have immense respect. As I clearly stated on my blog at the time, “my own role in her return was a minor one”. What’s more, I’ve failed in my attempts to help arrange M’s return. Her decision to return home or remain in China is – and always has been – hers alone. While at times I have gone further, I see my own role in The Human, Earth Project primarily as that of a storyteller, to help bring these stories to a wider audience. In this, I believe my work has succeeded, and continues to do so. A handful of people from the American Hmong communities have objected strongly to my part in this story, and understandably so. The Hmong people already had a readily identifiable character in M.
You’re free to form your own opinions, and I’d be interested to hear them. For more on bridge characters, Kristof has a fascinating commentary I’d recommend here.